Everyone wants to claim the Bloody Mary. 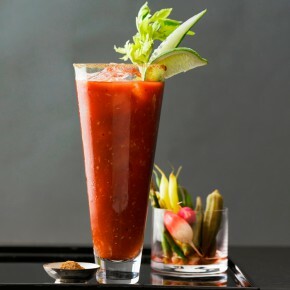 There are no less than four different accounts of the first Bloody Mary. 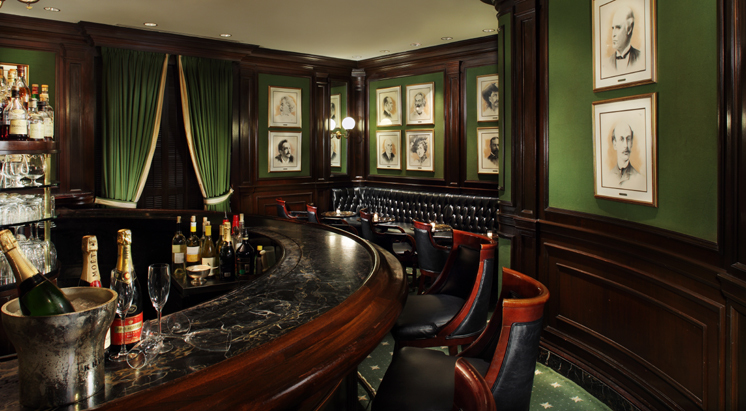 Meanwhile, Ferdinand Petiot was pretty sure that he invented the drink much earlier at his position as bartender at the Ritz-Carlton Paris, which was later known as Harry’s New York Bar. 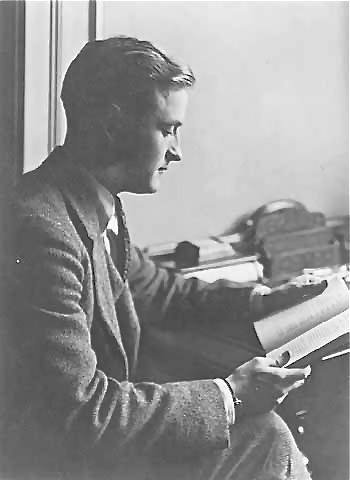 Harry’s was a favorite of Hemingway and other literati expatriates in the 1920’s. Sounds pretty good, Periot. In fact, his ubiquitous brunch/hair-of-the-dog cocktail is a perfect for a cool Fall Saturday morning. Shake, strain, pour, and voila! If you were living in Prohibition times you might use the phrase, the ‘bee’s knees’ to describe something perfectly wonderful. 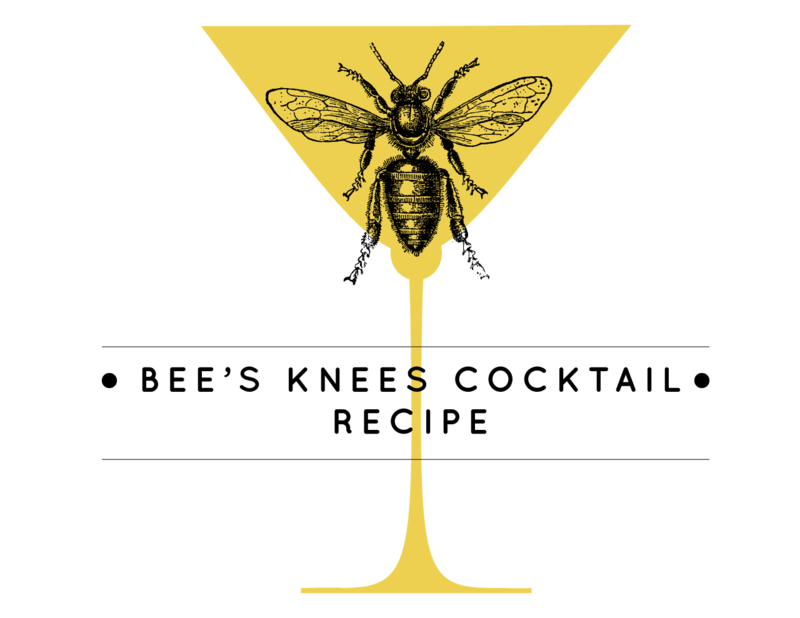 Well, the ‘bee’s knees’ is also a perfectly wonderful cocktail. 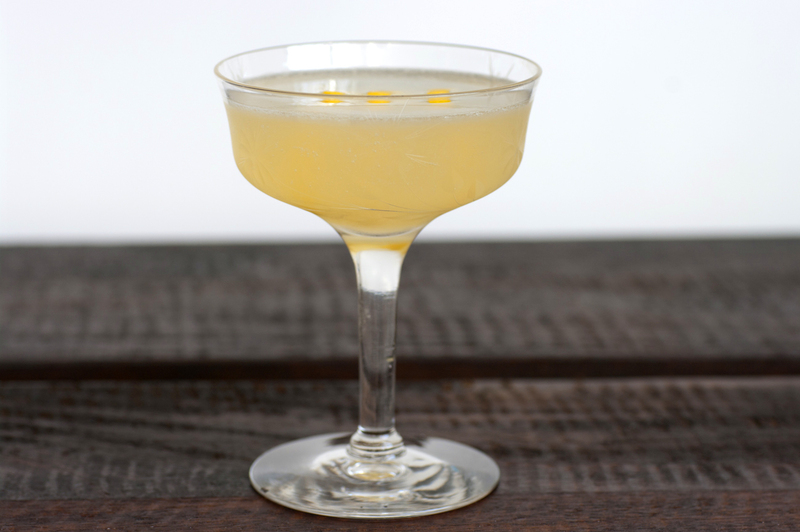 Served in a martini glass, it’s light and effervescent, perfect for the waning days of summer. While it recalls the glitz and glamour of the Roaring 20’s, there is still something simple and grounded about this recipe. The honey was originally supposed to help mask the taste of bathtub gin, but when used with a fine gin, it creates a sweet, smooth finish, which is then brightened by the addition of fresh citrus flavors. 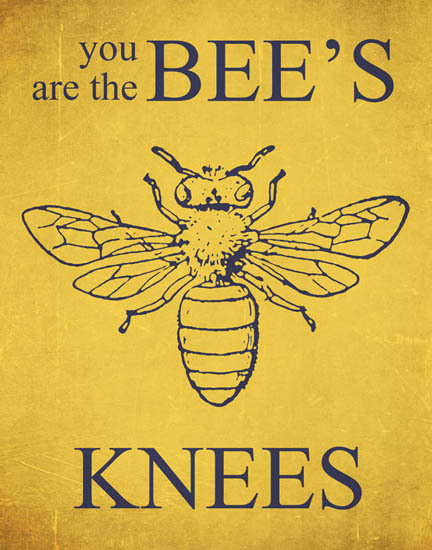 The Bees Knees may take a few extra steps to create, but it is worth the effort. 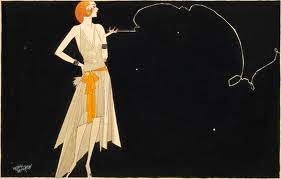 Sipping it will transport you back in time, to the “greatest, gaudiest spree in history,” described by one who would know, F. Scott Fitzgerald. Gin was said to be his favorite, as he felt that the smell couldn’t be detected on one’s breath. 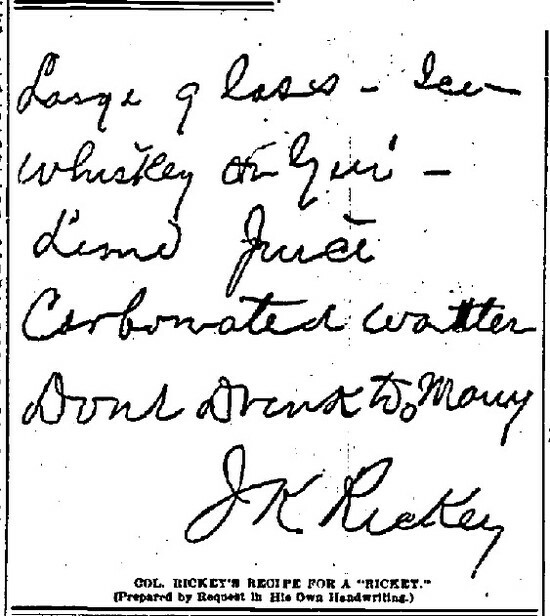 This is Tori Avey’s take on the Bee’s Knees recipe in the 1934 edition of Boothby’s World Drinks and How to Mix Them. Instead of honey, she created a honey simple syrup and encourages you to experiment with how much you want to add since gin is so perfectly wonderful on its own. Cheers to the end of summer and one of Prohibition’s best cocktail recipes. According to the D.C. 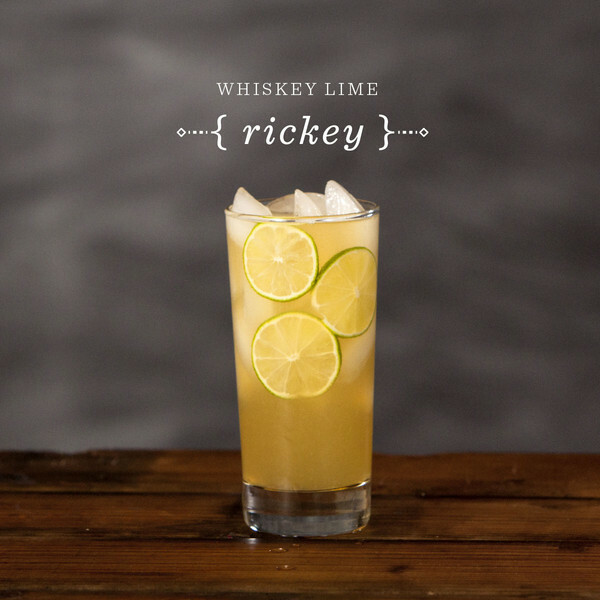 Craft Bartenders Guild, July is Rickey month. 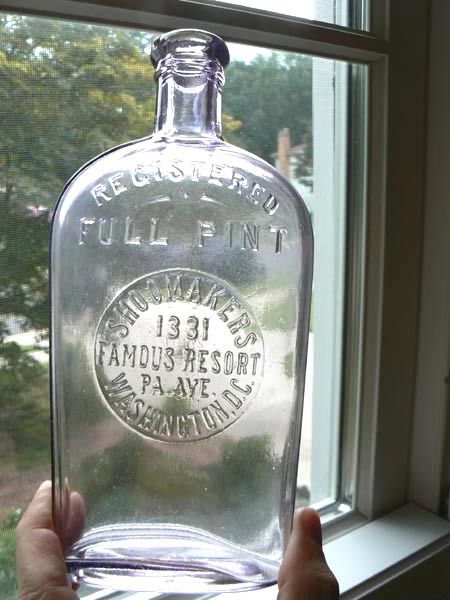 This classic drink dates back to the 1883 and has a long and storied history. Colonel Joe Rickey was a Confederate veteran and a ‘gentleman gambler’. He often placed bets on the outcome of elections and was said to be celebrating a successful wager on John G. Carlisle becoming Speaker of the House. Now one would think that ole Joe would be thrilled to be remembered for engineering such a refreshing and tasty bar mainstay. 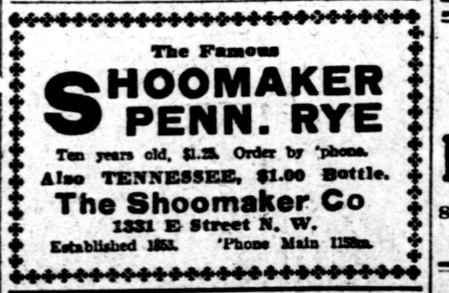 It was even mentioned in his obituary that the drink bears his name. But no, apparently Joe was not a fan of the fanfare, or even the drink itself. There are sources who claim that Joe enjoyed his bourbon with ice, carbonated water, and lemon. They say he used to complain about the drink being named after him while enjoying his real favorite at the Waldorf Astoria. In fact, a 1901 news article, focuses on poor Joe’s displeasure at his fame. Some people are born to fame; others achieve it, while celebrity is thrust upon a few. Among the latter is Col. Joe Rickey, of Missouri. 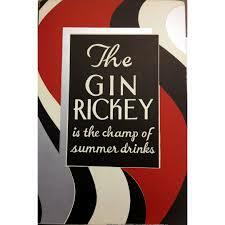 But instead of feeling proud of the fact that he has given his name to a popular tipple Col. Rickey feels very much aggrieved. “Only a few years ago,” he said recently, “I was Col. Rickey, of Missouri, the friend of senators, judges and statesmen and something of an authority on political matters and political movements…. But am I ever spoken of for those reasons? I fear not. 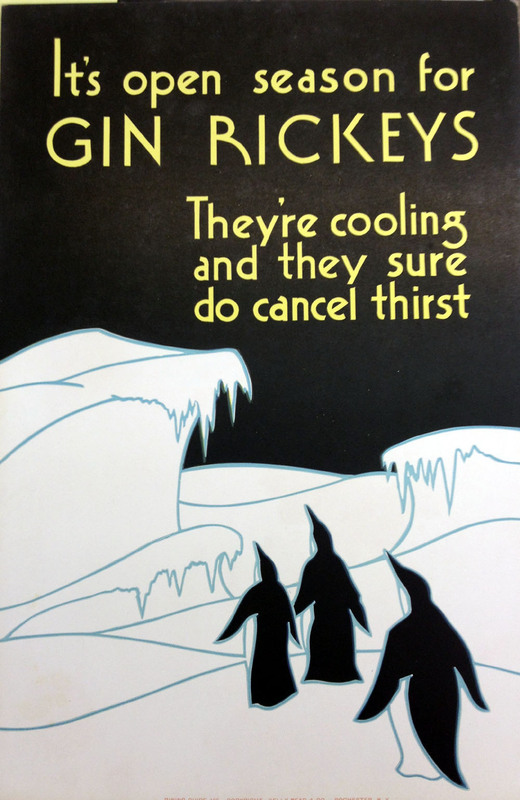 No, I am known to fame as the author of the ‘rickey,’ and I have to be satisfied with that. There is one consolation in the fact that there are fashions in drinks. The present popularity of the Scotch high ball may possibly lose me my reputation and restore me my former fame. ‘Tis a consummation devoutly to be wished for. I have to think that Joe would not be happy about having a whole month dedicated to him. The men who come here mostly live in palaces. They are rich and powerful. They bear big burdens. Here they relax and are free from the vigils of butler, wife, daughters or decent neighbors. It is democracy carried to the limit. 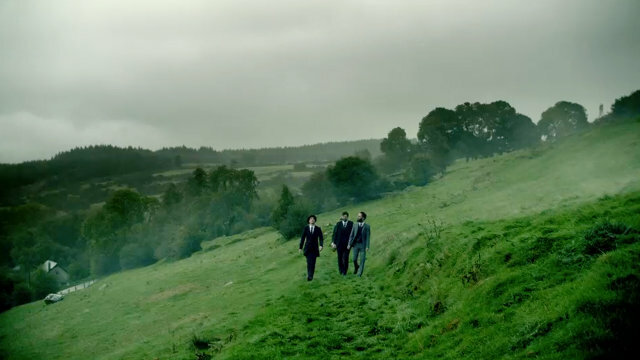 […] Here men get freedom from the tyranny of things. Nothing matters. 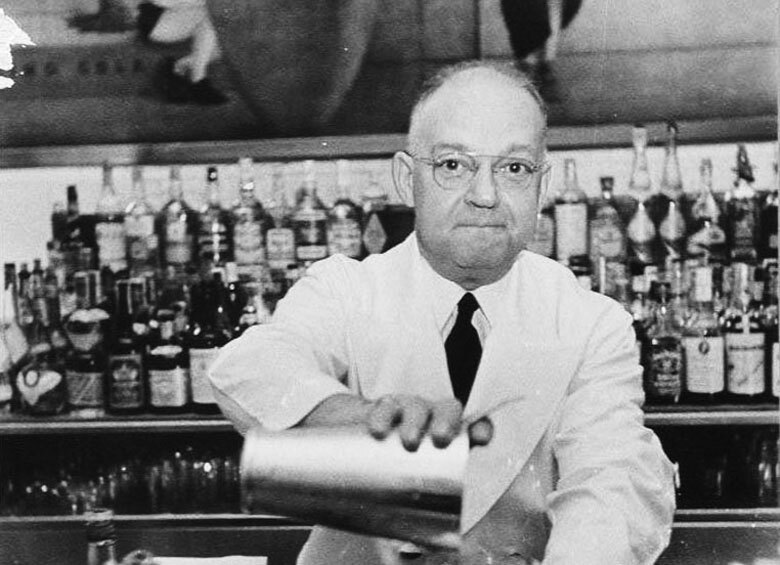 The bartenders are your neighbors, the proprietor your long-familiar friend, the patrons your partners. 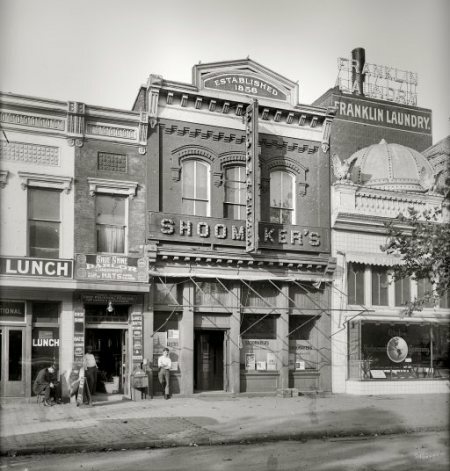 Apparently, Joe Rickey bought Shoomaker’s after the two proprietors passed away and the bar later moved to 1311 E Street, close to the Willard Hotel. 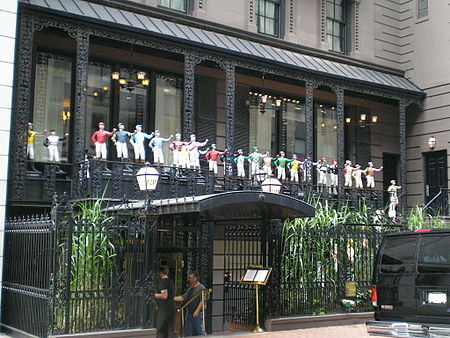 Despite it being a favorite among the rich and famous, the bar closed for good in March 1918 during the difficult times of Prohibition. Add Seltzer water and a lime wedge to garnish. You could do the steps above, but use bourbon. Which is what I’ll be having. I think you can also use Rye Whiskey, Applejack Brandy, Rum, or Vodka. You can also get crazy with the garnishes – use dill, rosemary, or pretty much any fruit. Tip of the hat to you, ole Joe, for creating such a delicious and versatile drink! Happy Summer! Named for the famed New York restaurant and speakeasy, the Colony Cocktail is a refreshing mix of gin and grapefruit juice with a dash of maraschino liqueur. Perfect for a long summer evening, the Colony is a beautiful pink color and is fresh and cool. 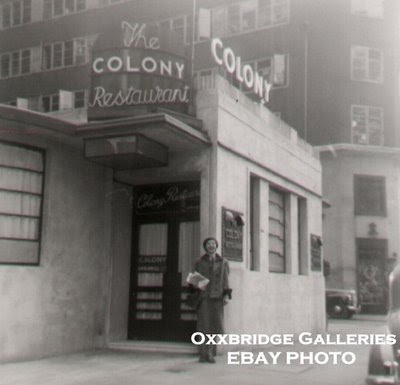 The Colony opened its doors in 1923 and began as a sort-of men’s club where gambling and mistresses could be had in the smoky upstairs. 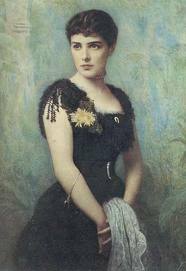 Soon, however, Mrs. William K. Vanderbilt discovered the restaurant and it quickly became a popular establishment among the wealthy, important, and beautiful people of the day. 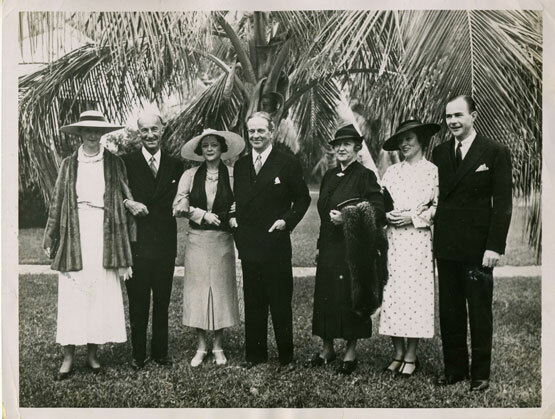 The long list of Colony frequenters includes (in no particular order), many Vanderbilts (Reginald, Gloria, Lulu, and George), Hattie Carnegie, Mrs. Irving Berlin, Doris Duke, Marlene Dietrich, Gary Cooper, Richard Nixon, Ernest Hemingway, Frank Sinatra, Aristotle Onassis, the Duke and Duchess of Windsor, Vincent Astor, Rex Harrison, Errol Flynn, J. Edgar Hoover, Orson Welles, Joan Crawford, Grace Kelly, Jacqueline Kennedy, Gloria Guinness, and Truman Capote. 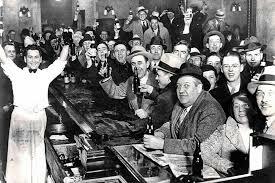 The Colony flourished, even during Prohibition. 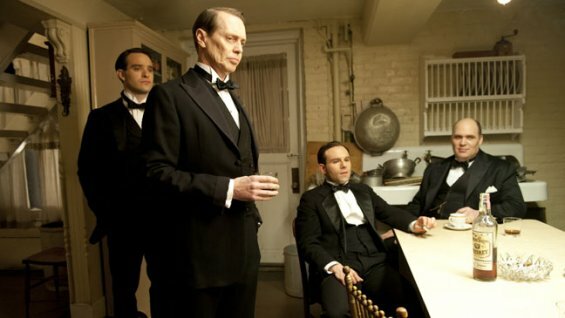 It served liquor in tea cups and stored the liquor bottles in the dumb waiter. 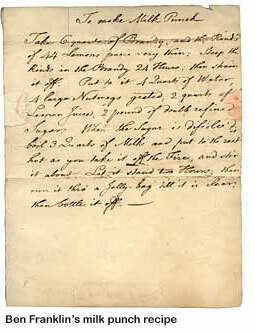 According to legend, even the Mayor enjoyed his drinks at the Colony, which protected it from raids. 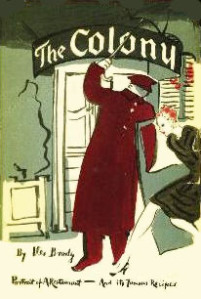 The Colony Cocktail, supposedly created by Marco Hattem, took advantage of the fresh grapefruit juice to mask the questionable taste of Prohibition-era gin. A splash of maraschino liqueur. 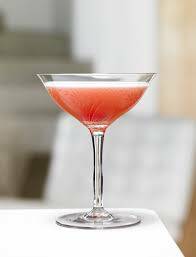 Mix and shake vigorously over ice and pour into chilled martini glass and use a grapefruit twist as a garnish. This drink can also be made with a splash of absinthe or orange bitters. Enjoy, you smart and impressive collection of people of breeding! 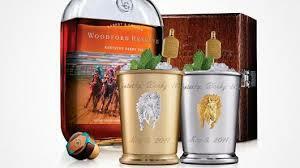 Last Saturday at Churchill Downs you could buy a $1000 mint julep. Or at least the bidding started at $1000. The luscious, refreshing Woodford Reserve Bourbon drink came in a custom silver goblet with a gold plated stirrer and the proceeds all went to charity. 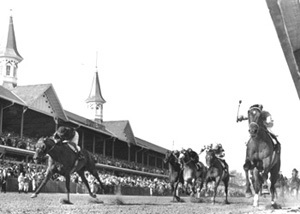 Mint juleps mean spring, crushed ice, and the thunder of horse hooves – and that’s why it’s this month’s drink. Even Garden and Gun (you need to be reading this if you’re not yet – best Southern lifestyle magazine out there) featured the Mint Julep on its cover. But as they point out, juleps aren’t just for derby time any more. Juleps are simple to make, really delicious, and perfect for the warm weather that lasts from Easter to football season. This classic but versatile beverage has long been associated with the South. 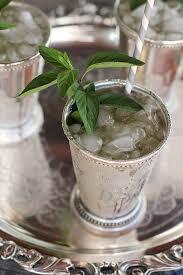 First mentioned in print in John Davis’ 1803 book, it was described as “a dram of spirituous liquor that has mint steeped in it, taken by Virginias of a morning.” Juleps were closely associated with Virginia until Henry Clay, a Kentuckian, introduced the drink to Washington DC society at the famed Willard Hotel. The drink is so iconic, so revered that it has a permanent place in the Southern collective conscious. 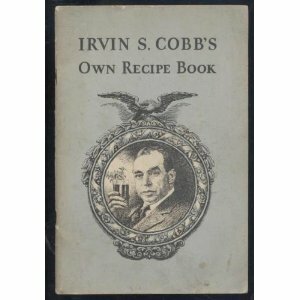 In 1936, Irvin S. Cobb even suggested that an ignorant Northerner may have caused the Civil War by adding nutmeg to his mint julep. Dissolve the sugar in the hot water in a highball or old-fashioned glass, or julep cup. Add the mint and press down with a spoon, releasing the oil. Add the bourbon and fill the glass with crushed ice. 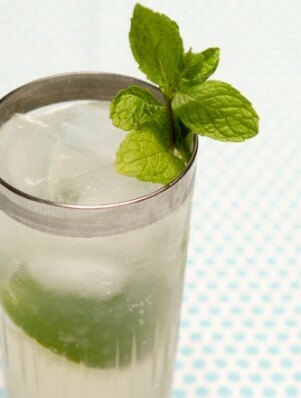 Stir and garnish with the mint sprig and a short straw for stirring. 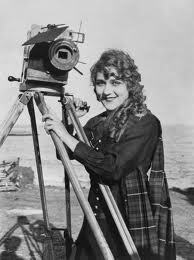 Mary Pickford was the most famous silent film star in the world and a founding member of the Academy of Motion Picture Arts and Sciences and co-founder of United Artists with Charlie Chaplain and Douglas Fairbanks. Born Gladys Marie Smith, she stared in 52 feature films over her career, often playing a feisty but lovable girl next door. While her career did not survive the transition to talkies and Technicolor, she remained involved in Hollywood as a producer. 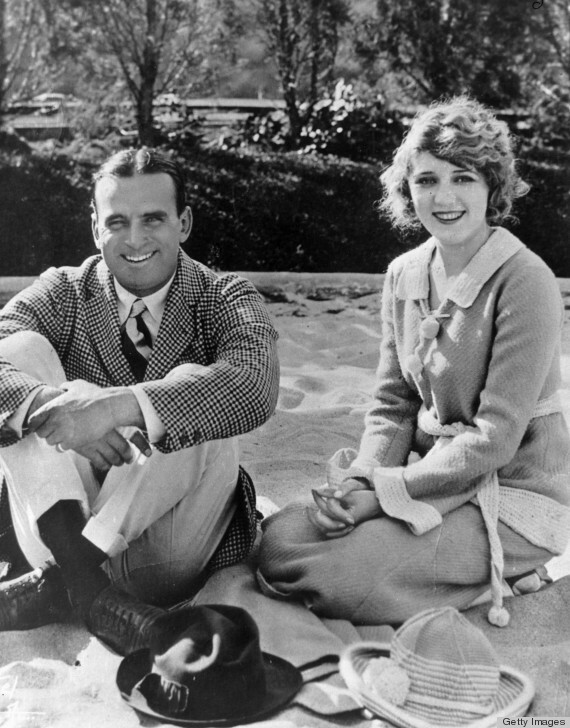 She and her husband, Douglas Fairbanks, were friends with many of the world’s most interesting people, from F. Scott Fitzgerald and George Bernard Shaw to Helen Keller and Amelia Earhart. 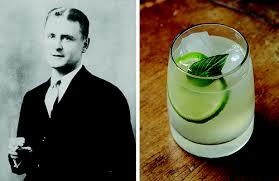 The drink is attributed to Eddie Woelke, a legendary cocktail creator who fled to Cuba during Prohibition. Shake over ice, serve in a martini glass, and garnish with a brandied cherry. It should be a lovely pale pink color and taste refreshing and delicious. Enjoy your Mary Pickford and the beautiful springtime! Happy St. Patrick’s Month! What better excuse to celebrate the coming of Spring, wear your best Kelly green, and drink to oblivion than the expulsion of all the snakes from Ireland? This month, channel your Irish heritage (you know you have some – every American is somewhat Irish, at least on March 17th) and have a good ole Irish whiskey. Irish whiskey is enjoying a renaissance. 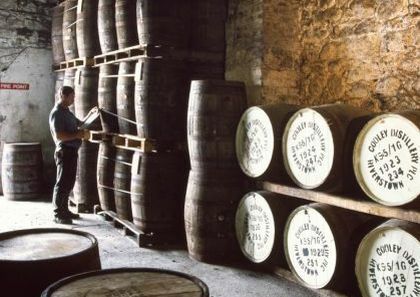 While long eclipsed by its rougher, tougher, peaty-er Scots cousins, Irish whiskey is now more in demand than it has been in generations. Once the most popular distilled spirit in the world (bold claim, but I think I read that somewhere) sales suffered during our Prohibition and the long, tragic Troubles in Ireland. But today, Irish whiskey is again enjoying the fame and recognition that it deserves. For more, including a very handy pronunciation guide, read this great Esquire article. There are many ways to enjoy your whiskey – add some gingerale, enjoy it in your coffee, get creative with port or brandy, or even put a whole egg in it. People do that. It’s called An Bodhran. But then again, you might just want to drink it straight up – it has a smoother, dare I even say, richer flavor that other whiskeys (like from Scotland) you might have enjoyed. This is my birthday month, so I choose a historical cocktail that is made with champagne to make it a little festive. The French 75 became popular during Prohibition times, that fascinating 13 year period when Americans made alcohol illegal and then drank their faces off. 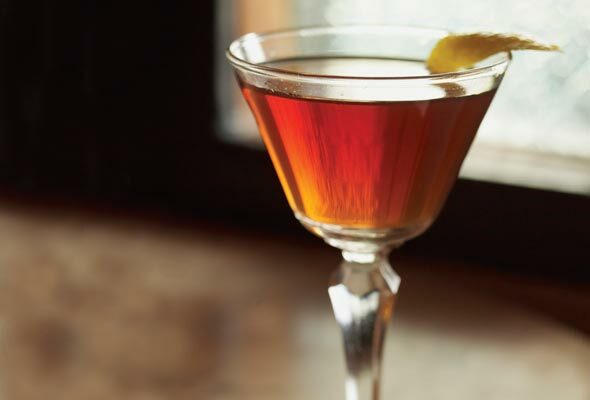 A time of bootleggers, gangsters, and high-class cocktails, it’s hard to go wrong with a classic Prohibition era cocktail. 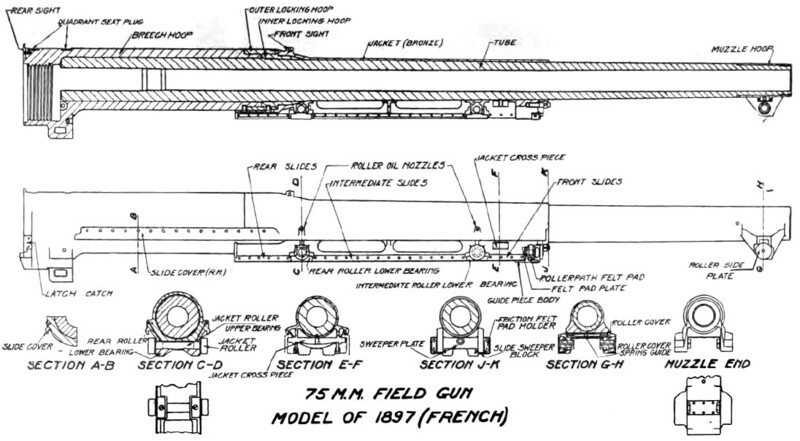 The French 75 was named for the World War I field gun, the French 75-mm M1897, because it packed such a punch. 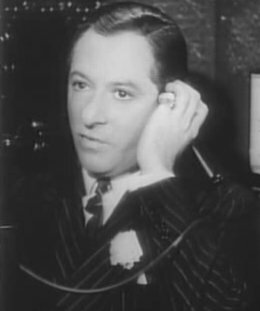 According to legend, either Arron Barrow or Harry MacElhone created the drink in Paris in 1915 at the New York Bar, or as it was later called, Harry’s New York Bar. 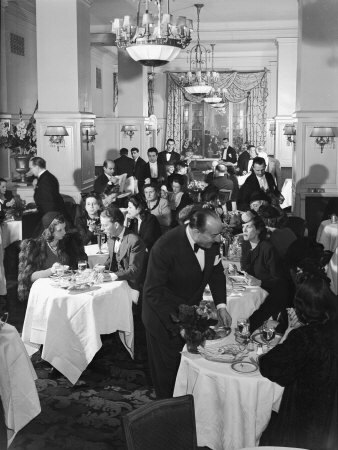 Harry’s was a fixture amongst American expatriates in Paris, including Ernest Hemmingway, Sinclair Lewis, Jack Dempsey, and Humphrey Bogart. 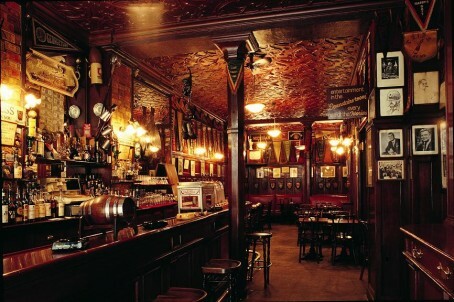 Despite the fact that Harry MacElhone was a Scotsman, Harry’s New York Bar made Americans feel right at home. Interestingly, this is where George Gershwin wrote An American in Paris, and where other famous cocktails originated, such as the Bloody Mary. 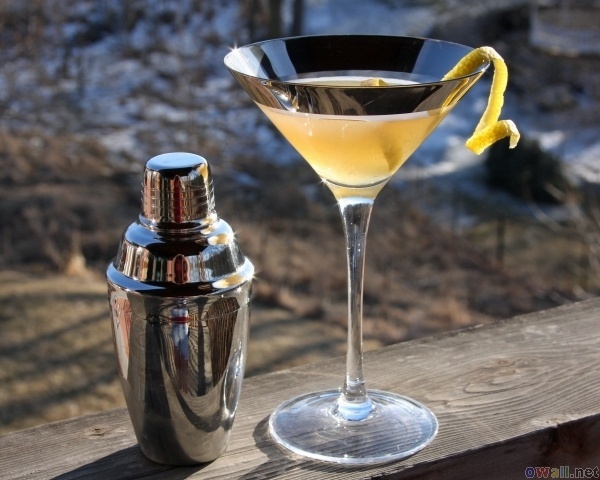 Garnish with a spiral of lemon, an orange slice, a maraschino cherry or any combination of the three. So Good They Made a Movie About It! This is exactly the kind of drink you want on a cold, dark January evening. Hopefully you have a roaring fire in the fireplace and a good book or some good friends to make your evening more cheery. This is when you want something flavorful, sweet and tangy, but a drink where you can still taste the alcohol. This is a drink that is sophisticated, historic, and gives an excuse to toast in the dead of winter. Because this is a classic cocktail, everyone has an opinion on the proper way to make it. Historically, the liquor used was probably rye whiskey, but being a nice southern girl, I always use bourbon. In this case, skip the house bourbon and go for something nice – the better the bourbon, the better the drink. 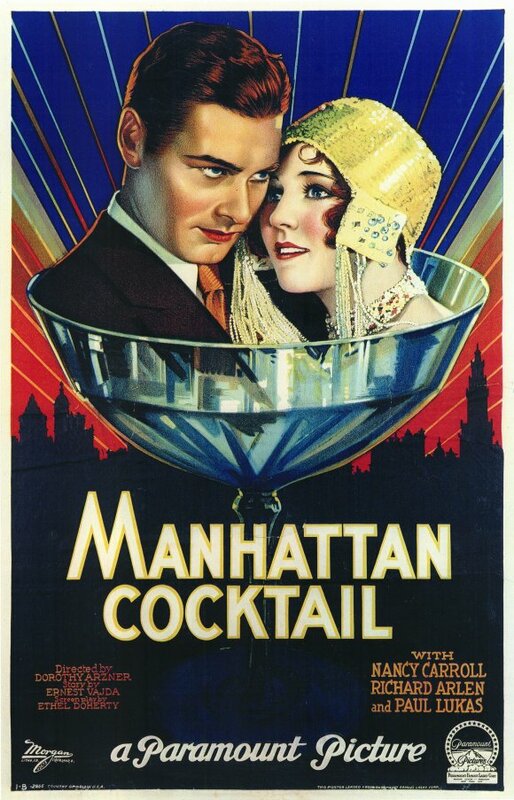 According to Drink-ol-o-gy, The Art and Science of the Cocktail, this is your recipe for the Classic Manhattan – this is likely a Prohibition-era recipe since it uses Canadian blended whiskey – my only change would be to use bourbon. 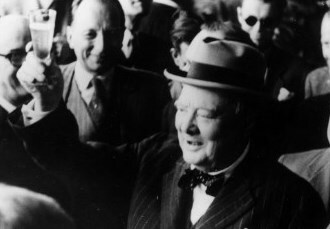 Enjoy a toast to a Churchill. 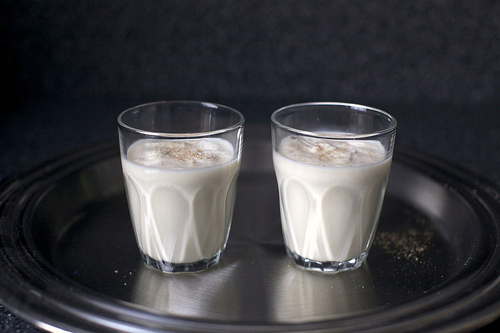 There is nothing better on Christmas morning than to sip a cool, smooth, sweet, spiked glass of milk punch. Never heard of it? Do you like Bourbon? Then you’ll love it. It’s a simple recipe that can be easily altered and made your own, but it’s a major part of my family’s Christmas tradition. Start with whole milk, add a decent helping of sugar, a teaspoon of vanilla extract, add ice and blend in your blender until it’s smooth and frothy. Sprinkle nutmeg on top and enjoy your milk punch mustache. It’s the perfect between-coffee-and-breakfast drink. It’s also the perfect post-breakfast-pre-dinner drink. Actually, it’s pretty much perfect anytime. I’ve heard that some people use whiskey, looks like Ben Franklin used brandy, some use half and half, some use powdered sugar, and some forgo the nutmeg. We keep our recipe simple because, hey, we have presents to open! 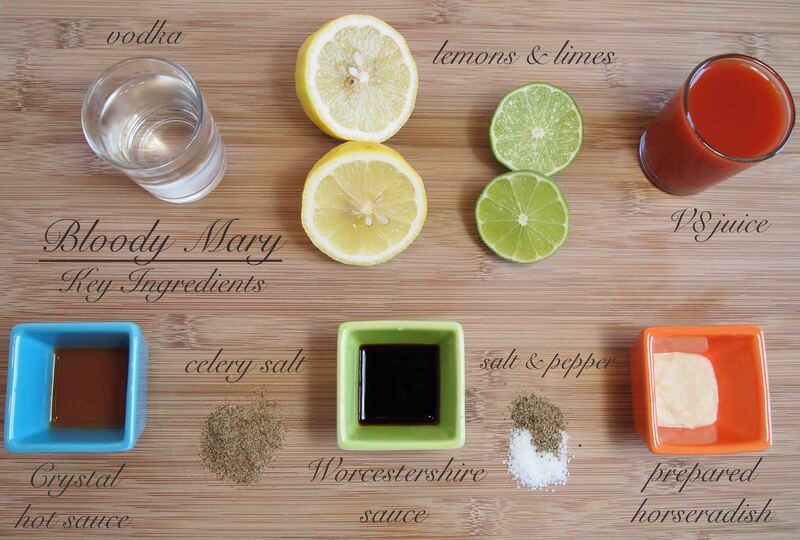 Hot Toddy – you’re going to love it. Picture it: you’re in an old Scottish castle dressed in your comfy bedtime tweeds, having had a perfectly lovely day of eating scones and admiring the pheasants and stags on the moors (with bagpipes in the background). The sky is gray but it’s not raining and it’s cold but not frigid. After an excellent dinner (no haggis!) you all retire to sit by the fire and sip a hot toddy and are all warm and really enjoying fall and all the plaid. 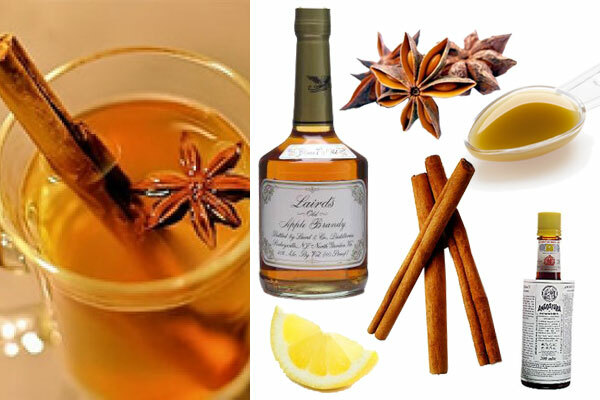 The traditional hot toddy comes from Scotland and it is believed that the word ‘toddy’ comes from India, possibly brought over by someone coming home after working for the East Indian Company. If you’re my grandfather, you refer to every alcoholic beverage as a toddy. 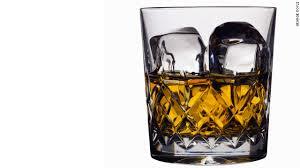 Combine whiskey (not the good stuff – save that for sipping strait up) with boiled water and honey. Then you can get creative and add lemon, cloves, cinnamon – whatever strikes your fancy and makes it taste good. This guy seems to really know what he’s doing if you want an exact play by play. Bonus: hot toddies are medicinal! So if the leaves are changing, the weather’s changing, you’re feeling like a pick-me-up, have one! or two! But then move on to something more manly.